The first rule of blog banters is that shorter questions are better than longer ones. The second rule of blog banters is that philosophical questions are better than practical ones. This question is both long and practical and as a result in my opinion is one of the less interesting blog banters in quite a while. But you go to war with the army you have, et cetera et cetera. ;-) So let's deal with what we have. That said, my answer to this one is going to be fairly short: I expect the summer's industry changes to have very little impact on NPC null-sec and no impact or a generally slightly negative impact on low-sec industry. Low-sec first: even with the changes to jump fuel prices and use for jump freighters, it's still going to be far easier to stock low-sec markets from high-sec than try to build up a native industry in low-sec. There are, by and large, not enough people living in low-sec to support a low-sec cottage industry. These days, things are built in low-sec because they have to be (capital ships), not because the builder has any particular desire to do so. CCP can (and might) change this dynamic slightly with lower production costs in low-sec. That said, even the increased production costs are not going to be that costly. In a game of risk averse players, industry players are some of the most risk averse of all. They're not going to move blueprints, materials, and a logistics chain into low-sec unless there's an overwhelming advantage to them to do so. I may have missed it, but I haven't seen such an overwhelming advantage. This very same answer carries over to NPC null-sec, and for the same reasons, only magnified by about three. Kirith gently raises the specter of null-sec blocs taking control of NPC null for the purpose of turning the regions into manufacturing power-houses. I could be wrong (and if I am, we'll know by Christmas) but I just can't see it. Yes, I continue to think that null-sec manufacturing is going to take over in some niche manufacturing areas. But I also think the bulk of those niche areas are going to be for the blocs to supply their own needs, whether consciously or unconsciously. A lot of the isotopes being used to move stuff around null is being used to bring in ships, ammo, rigs, specific modules, et cetera. But that fuel is being used to bring them to home stations. Unless a null-sec bloc is going to live in a NPC null station for an extended period of time, there just isn't much percentage in building stuff in Syndicate only to have to ship it to Delve or Deklein. There will likely be enough native manufacturing capability for these niche markets and if there isn't, a few more stations will go up to ensure that there is. But Kirith specifically implies that "the economic center of gravity" is going to "shift from high sec toward null sec". While this is technically true -- even a few percent would be a "shift" -- I don't see it becoming a major factor. So... yeah. Swing and a miss on this one. I hope the next blog banter question is more philosophical! Sigh. I'm getting rather tired of reporting massive Zenimax Online screw-ups, so I'll make this one fairly quick. Today, Zenimax released version 1.1.2 of ESO, a patch that should have been absolutely nothing but good news for players. The patch includes dozens and dozens of fixes for ESO's most annoying issues. It also includes lots of upgrades to ESO's "veteran" level content, a new 4-person veteran dungeon, a new "trial" challenge for 12-person groups, nice upgrades and fixes to PvP, and lots and lots of other stuff. Combined with Zenimax's increasingly successful war on bots within the game -- in one session this week, I only saw one group of bots in four hours -- ESO should have been able to go into the busy Memorial Day gaming weekend in the U.S. in triumph. Except for the fact that they also screwed up royally. Not only is the patch a 25GB monster, but once that monster download is complete, many players are reporting that the in-game quest achievement system and tracking system for all the in-game's quests has a display bug. In short: you're no longer able to see what in-game quests you have completed. In any zone. Whether you have finished that zone or not. The devs insist that the bug is a display bug and the achievements are not lost. But if you're playing the game to quest, the game is essentially rendered unplayable for existing characters as they fight with blank quest journals. After a day of increasingly panicked devs in the forum thread on this disaster replying to player questions, they finally reluctantly revealed that they cannot back out this patch to fix the bug. Some players are reporting they are being told that repairing this problem is likely to take "at least two weeks." Whoops! Anyway, expect this to break in the gaming press today. That's after Zenimax did a really big marketing push this week to promote this patch to the very same gaming press. 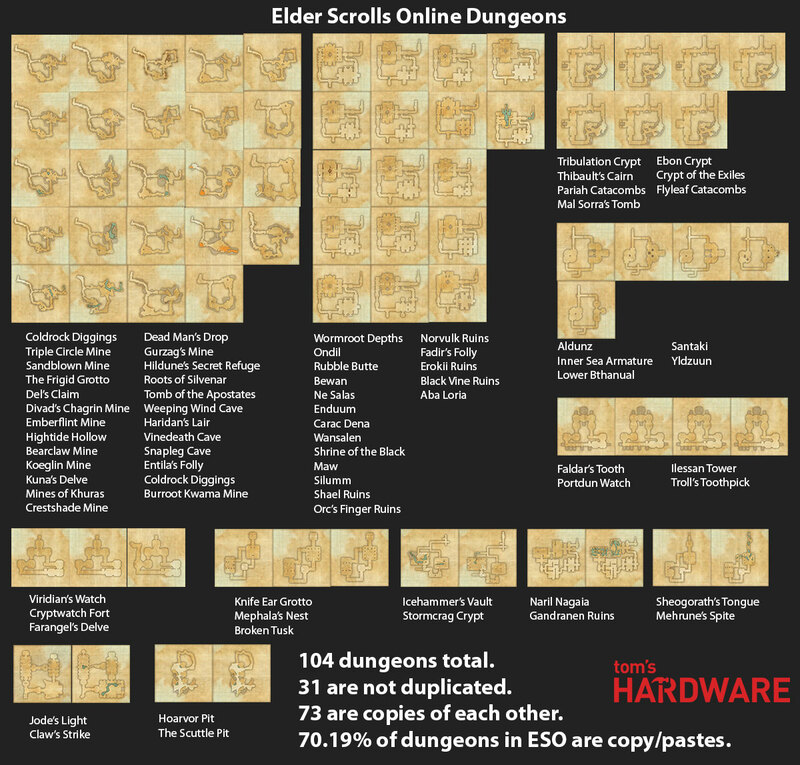 Needless to say, a lot of players aren't happy and the business-killing R-word has started to appear in the various ESO fora... Sounds like it's time for another Zenimax apology. On a day that was supposed to be a triumph. I hate to keep following up on previous posts I've written, but the changes that are happening pretty much daily in EVE right now are kind of demanding it. So let's do a double follow-up, one related to Kronos changes, one not. As I noted in my post about the freighter/jump freighter rebalance, the addition of rig slots to freighter mated to large nerfs in cargo hold and/or align time and/or tank (depending) was leaving JF pilots with one and only choice: fit cargo expander rigs. The original idea was to put some customization into freighter fittings and CSM8 felt like rig slots would be an interesting way to do that. We had also talked about low slots instead but the idea of rig slots was slightly more interesting to us: we had the idea that players or corps that do heavy-duty logistics might create a small fleet of freighters specialized to different tasks. In practice, it's clear it wasn't working that way and yesterday CCP Fozzie announced they were dumping rig slots on freighters and JFs in favor of three low slots for freighters and JFs, as well as some new low slot modules to increase base warp speed and (eventually) jump fuel conservation. For those who only care about cargo, three T2 Expanded Cargoholds will increase freighter capacity by 21-25% and JF capacity by 1-2%. That opens up a few more choices (as well as making those choices non-permanent). JF pilots will be able to jump out to null with full cargo loads and come back with Inertia Stabilizers or the new Hyperspatial Accelerator low-slot modules with much reduced cargo loads. Freighters will have a bit more freedom to customize in both directions since their base cargo is starting above 435k. So overall, a little bit less interesting but a positive change, I think! And those are really good, interesting questions! 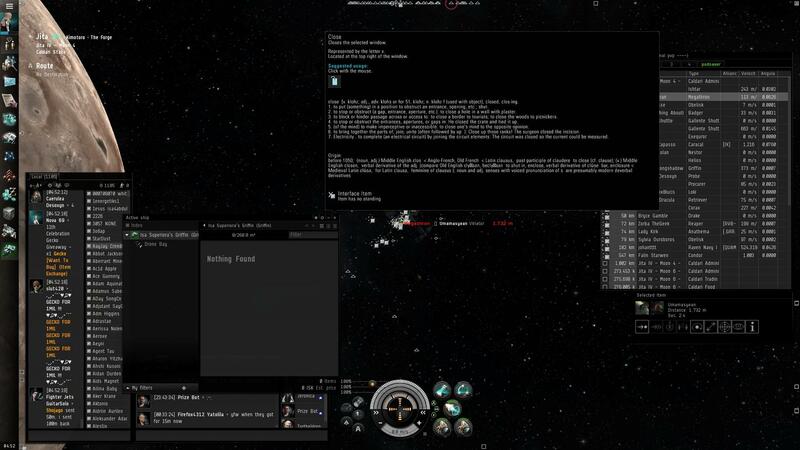 The second one, regarding the "code of conduct", refers to a quiet little trolly rumor going around that although CSM8 member mynnna can't profit from changes that CCP tells him about, there's nothing stopping him from hinting (falsely) to players that changes are in the offing and then delighting as they lose tons of ISK on bad bets based on those hints. What will EVE players think of next, right? [This] includes alts and corps owned or directed by alts. Example: at one point during the CSM8 term, a dev made a reference to something that I had stored in a cargo can owned by my alt corp in an office hangar. So there you go. If you had questions along those lines, hopefully that answers them. Thanks for the question, malko! Quite a good one!